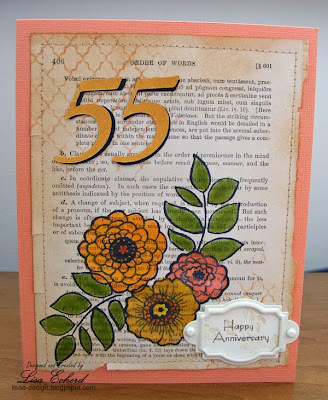 Lisa E Design Blog: Happy 55th Anniversary! This week we celebrated the 55th Wedding Anniversary of my parents! I'm so fortunate they are active and independent. Running a business together for 30 of those years, they spent even more time together than most couples. They seem happier and more in tune with one another now than ever. For their card, I used an American Crafts stamp set on book paper. I think I've finally got the hang of coloring these flowers. Every other time, I've tried to graduate the color on the petals. I just don't have enough markers (or patience) for that. This time, I used the same color all over each flower and then added a little gelatos to punch them up a bit. 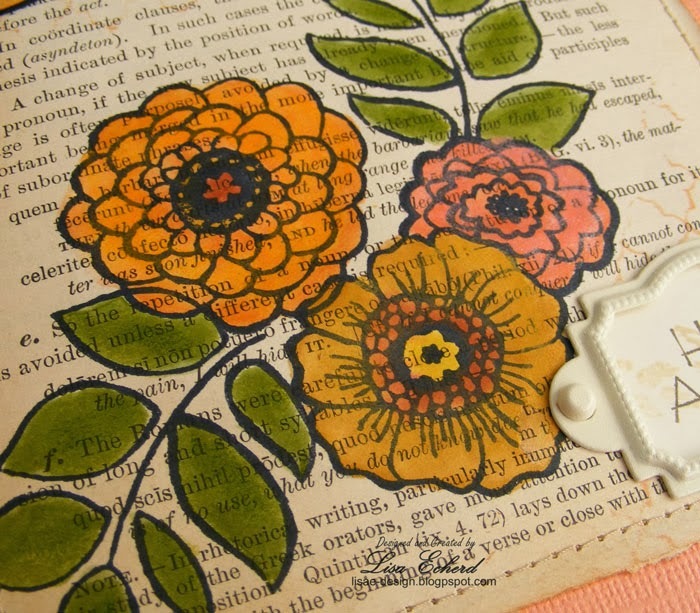 I also used a background stamp and some distress ink on the corners of the book paper. 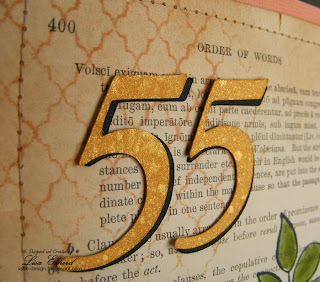 I cut the numbers out of cardstock and misted them to add a little Colorshine. With my Mother, you gotta have bling! So here's to many more years together, Mother and Daddy! Happy anniversary to your parents, Lisa! 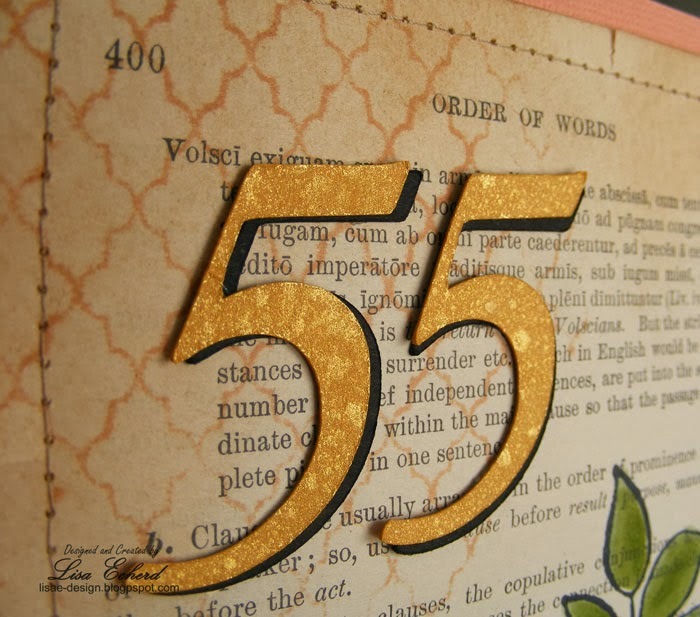 55 years is quite the accomplishment these days! Beautiful card! Love the book paper as the backdrop. Super card! Absolutely love the coloured stamped image on the text paper! Your card is beautiful and the flowers turned out stunning. That is a lovely card and an awesome milestone! Congrats to your parents! I love the transparency of the flowers, with the book text coming through the color. Interesting technique! Very pretty.